layout will make it look amazing. 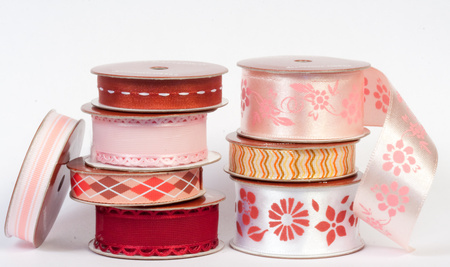 There are endless ways to use ribbons and tapes on your layout. And they are a great complement to family history scrapbooking. Ribbons were used widely in fashion in history to embellish dresses and hats and create a 'softness' and elegance. They can be used to embellish the actual scrapbook album as well as the layout. Create unique chipboard letters by wrapping them. 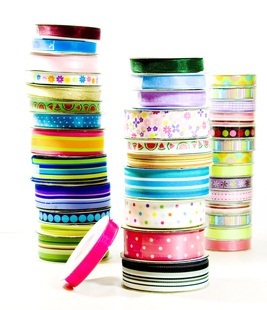 Use different colours of ribbons or tapes alongside each other to create a focal point.